The new Gensler-designed Banc of California Stadium opened for its inaugural Major League Soccer season in late April, ushering in Los Angeles’s first new open-air sports and entertainment venue since the debut of Dodgers Stadium in 1962. The 22,000-seat arena is designed with intimacy in mind: No seat in the stadium is farther than 135 feet from the field, with those closest sitting just 12 feet from the action. The arrangement of steeply raked seating and close proximity to the game is meant to create a closer connection between players and fans in the manner of European-style gameplay, according to Gensler. 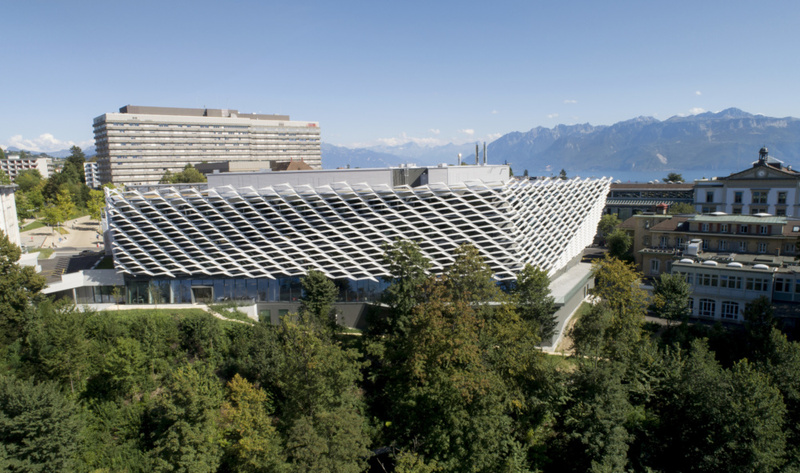 The buoyant-looking complex is built on a concrete base and is topped by slender, 45-foot-tall steel section canopies. Draped between these structural elements are 190,000 square feet of translucent ETFE fabric to provide cover from L.A.’s sometimes brutal sun while still allowing enough sunlight through so that grass can grow on the pitch. The complex—chock-full of pedestrian-oriented plazas, viewing and celebration terraces, and restaurants—connects directly to newly landscaped areas designed by Studio-MLA. Marking its first project on U.K. shores, KieranTimberlake Architects’ U.S. Embassy in South London is finally complete. The Philadelphia firm was the winner of a competition launched by the American Embassy in London in 2008. Now the Embassy’s new location in Nine Elms, just off the banks of the River Thames, will open a decade later this January. An official opening date is still pending, as the status of President Donald Trump’s inaugural state visit hangs in the balance due to a concern about widespread protests. Indeed, worries about security dominate the current U.S. Embassy in London, particularly after spate of attacks on other American consulates. Nestled in a Georgian enclave in Mayfair, the current Embassy, Eero Saarinen’s Grade II Listed structure from the 1950s, is unceremoniously fenced off. Despite a crowning aluminum bald eagle, the wealth of bollards that precede the fencing means the embassy's current locale is decidedly lacking in freedom. After surveying 40 possible locations, the U.S Embassy is moving to an even safer compound, one it can truly control. The architects didn’t have a say in curtailing this aspect; a prescribed 100-foot “seclusion zone” meant the embassy’s relationship to the site was never going to be an open one. However, some efforts have been made to make the notion of security less explicit. A bioswale in the form of a semi-circular pond (essentially half a moat), fortified hedges, and a gabion wall have all been sunk below ground level to make the embassy seem less stand-offish from afar. From this distance, KieranTimberlake’s work stands out as a crystalline cube from its brick-clad neighbors. 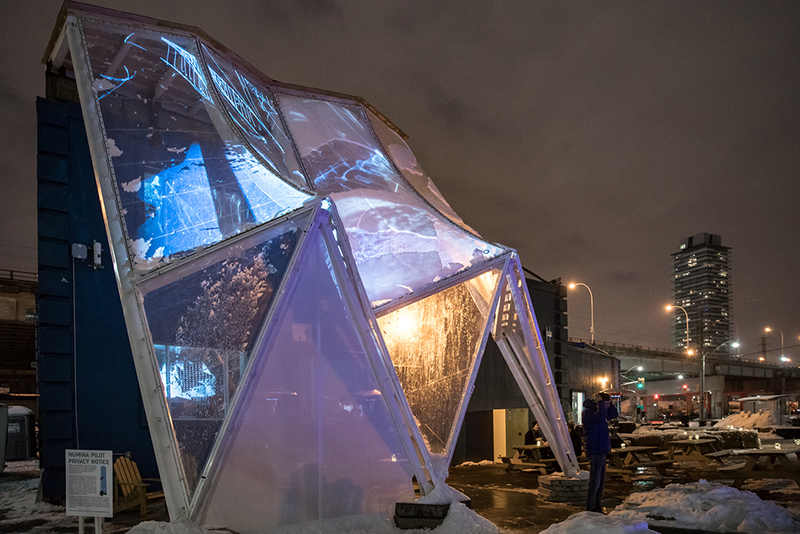 On three sides of the 213-foot-tall structure are ethylene tetrafluoroethylene (ETFE) sails which act as a shading device. James Timberlake, a partner at the architecture firm, stressed the need to “filter all that enters,” listing “people, air, and even materials.” Birds too are kept out through star-spangled fritting found on the northern-facing façade, the only side free from the ETFE sails. But if the outside dazzles, which it almost does at night, the embassy's interiors are severely lacking. For those who can’t get or see in, you’re not missing out. Although Ambassador Woody Johnson pushed the idea that his embassy’s architecture was “outward-looking,” evidence of this is hard to come by. Inside, it becomes apparent that the sails block fantastic views out onto the river from the east and west sides of the building. As if a brief which stipulated such high levels of security wasn’t enough to strangle the life out of the building, striving for LEED Platinum status through the enormous shading sails has shot the architects in the foot. Perhaps because it is now on Brexit-bound soil, there is further evidence of insularity at a granular scale as well. The embassy, to the annoyance of at least one employee, is filled only with U.S. plug sockets "bar a few Brit outlets.” Besides a serene visa waiting hall and the ground floor lobbies, one of which features work from British artist Rachel Whiteread, the other Gensler-designed interior levels shown to journalists are remarkably boring. Interior gardens and garden balconies offer a sorry attempt at adding American charm. Their inclusion results in the embassy feeling more like a high-security Holiday Inn. This anodyne, ultra-safe approach seems to have leaked into the building's surroundings as well. A nauseatingly large amount of generic apartment blocks surrounds the embassy. They fall under the umbrella of “New London Vernacular,” a term that arose during Boris Johnson's mayoralty to encourage historically sensitive design. Though most of the area is still under construction, what's built so far already hints at the non-place that the $20-billion Vauxhall Nine Elms Battersea Opportunity Area (VNEB), of which the embassy is a part, is set to become. In this bland context, the consulate’s isolationism as expressed in its distinctive facade may, in fact, be its best quality. One thing the embassy wasn’t fearful of though, was spending big. At $1 billion, it is the most expensive embassy in the world. You have to wonder, where did all that money go? Federico Balestrazzi, vice president of Thornton Tomasetti, is a leader of the facade engineering practice for the mid-Atlantic South region of the firm’s operations. He, along with other associates of the engineering firm, will be presenting at the upcoming Facades+ Miami conference. Thornton Tomasetti’s facade engineering team specializes in the design and construction of complex building enclosures and facades, particularly high-rise curtain wall systems, and provides innovative approaches that are both practical and cost-effective. 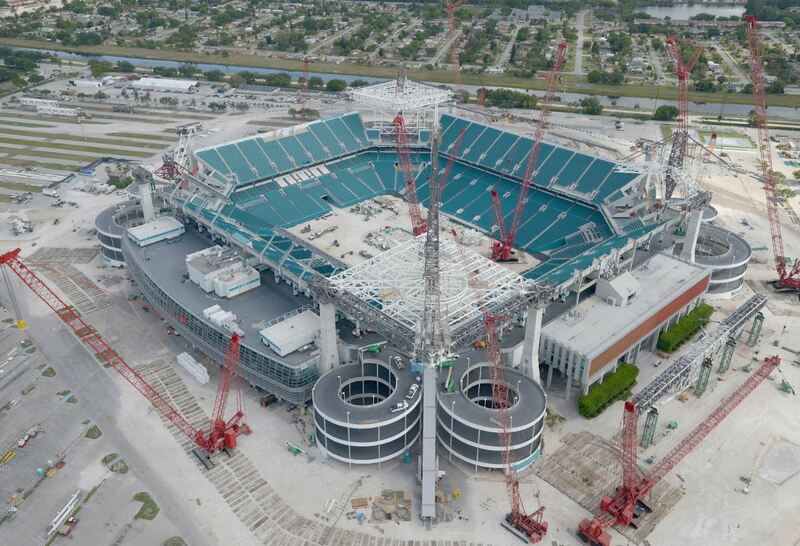 Balestrazzi will be presenting insights into recently completed arena and stadium work like the Miami Dolphins stadium renovation that carefully integrates structure with facade engineering. 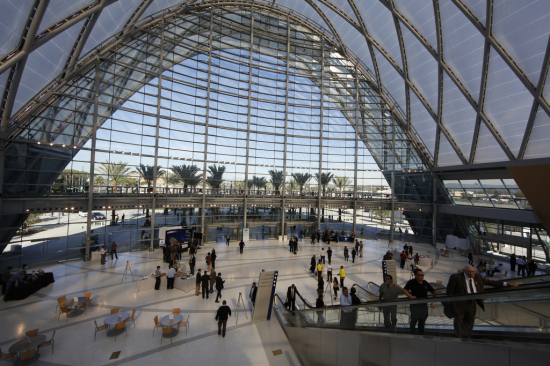 The project team designed a translucent ethylene tetrafluoroethylene (ETFE) shade canopy. Inflated pillows of ETFE cover the canopy, blocking rain and direct sun from the seating bowl while letting light in. 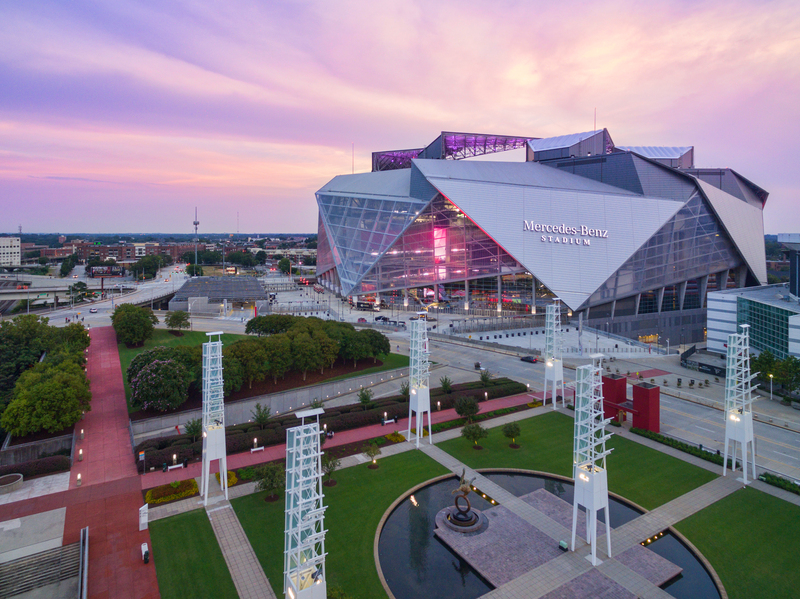 In a recent blog post about the firm’s research into ETFE, Thornton Tomasetti said, “We believe the high-visibility use of ETFE at the Hard Rock and U.S. Bank stadiums (as well as in other buildings, like ARTIC and The Shed) marks a turning point in its adoption as a viable option for transparent roofs, skylights and building envelopes in the U.S.” The transparent polymer foil is celebrated for its unique properties: It is highly durable, low maintenance, lightweight, and admits the full spectrum of light (including UV, which allows for plant growth). Balestrazzi said roughly half of the projects he works on are sited locally in the Miami area, and that these projects must respond to environmental conditions unique to the region. "Being in a hurricane region completely changes the game when it comes to wall performance. Dealing with the threat of hurricanes on a yearly basis is a very local phenomenon." 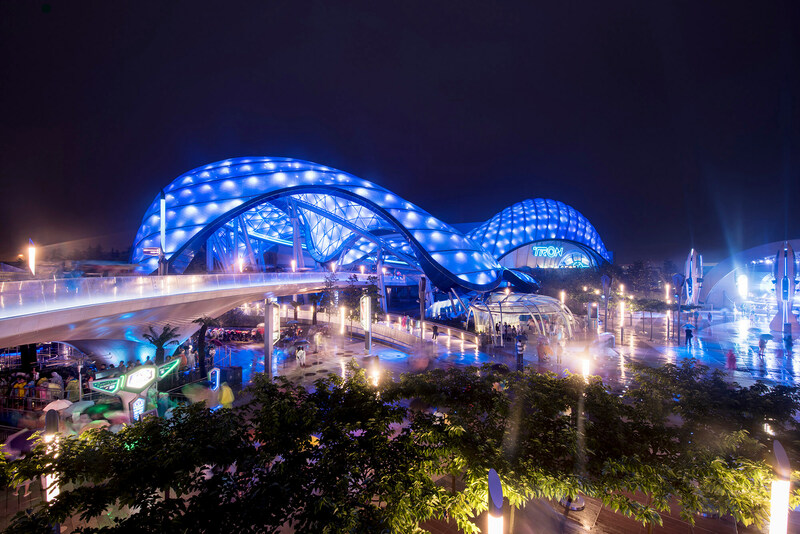 You can see Balestrazzi’s presentation on facade engineering at the upcoming Facades+ Miami conference, on January 26 and/or take part in a Thornton Tomasetti workshop, “Choosing Between the Titans: Glass vs ETFE.” Registration is open now. 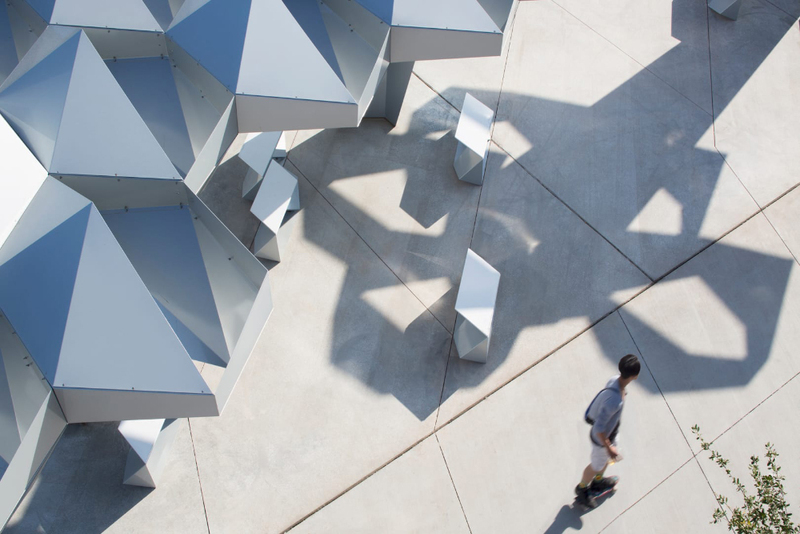 For further details, visit the Facades+ Miami site. 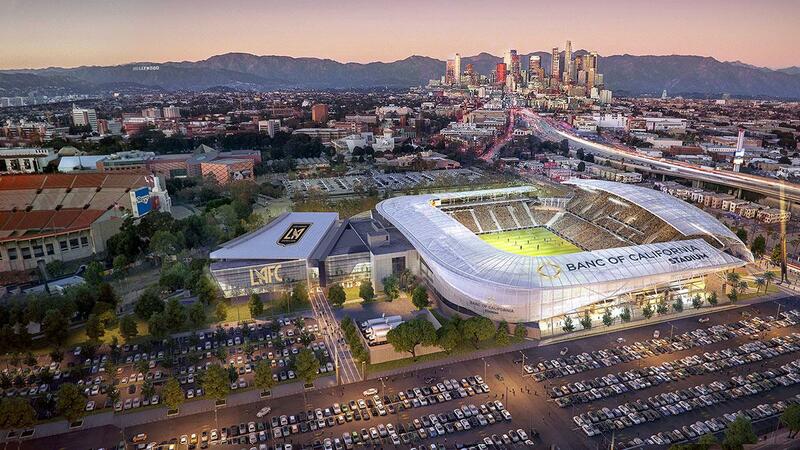 A Winged Stadium for Los Angeles? 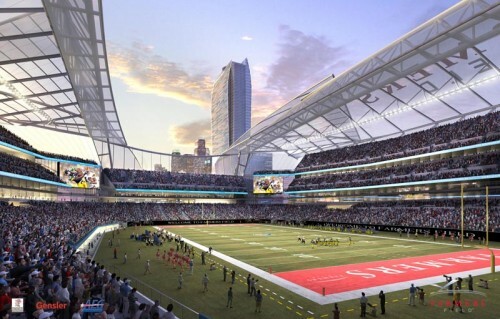 Yesterday, Gensler unveiled its newest plans for Farmers Field, Downtown LA's proposed football stadium, which, of course, is still awaiting a team to play in it (as are several other proposed stadiums in California). The biggest changes to the design involve the roof, which will now have large projecting wings (likely made of ETFE, said one Gensler architect). The roof will no longer be retractable, but "deployable," meaning the roof can be taken off, but not instantaneously, which will bring the structure's cost down significantly, Gensler pointed out. The new roof design, which will open up views to the city, was likened to "shoulder pads" by Curbed LA, perhaps a fitting design for a football stadium? So that the stadium doesn't dwarf the rest of the adjacent LA Live, it will be partially sunken into the ground, noted Curbed. 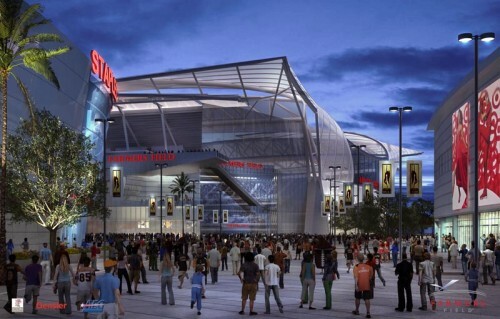 Meanwhile two levels of stadium meeting and suite space will connect directly to the new convention center that developer AEG is also planning for the site. 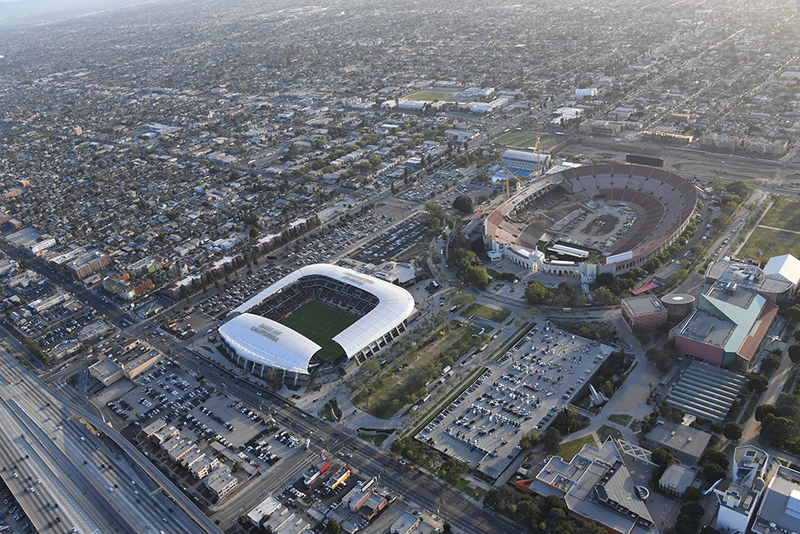 AEG hopes to have the stadium ready by the 2016 football season.